Are the advantages of conducting a clinical trial programme in an emerging market – such as cost and patient recruitment – outweighed by the disadvantages of adverse perceptions about the quality of the research? 1. Where is this shift coming from? What is driving it? Is it purely based on cost? 2. How are physicians viewing data coming from emerging markets? Are they viewing it the same as if it had come from an established market like the UK, US or the ‘EU4’? 3. What is the impact of this switch on the perception of pharmaceutical brands? To answer these questions, we spoke to a number of oncologists across the US and UK who were involved in establishing and recruiting for clinical trials in their respective practices. While all had concerns about data coming out of emerging markets, none could say specifically where these concerns stemmed from. Oncologists do recognise a number of benefits to conducting trials in emerging markets. In addition to the obvious benefit of reduced cost, which would hopefully translate to reduced price of medication once made available, trials in emerging markets are able to be set up quickly and recruited rapidly. In established markets, it may take a practice months to apply for the trial, fill in all the paperwork showing that there is enough staff, appropriate equipment and the patient numbers to recruit. Once granted the trial, physicians often struggle to find appropriate patients as they typically have a number of standard treatment options available that must be exhausted before a patient is eligible. However, in emerging markets, a single physician might often see close to 5,000 patients and these patients may not have access to the same medications as in the US or western European countries. Therefore, the only way to treat their patients is through a trial, enabling the trial to quickly fill up. This does lead to some ethical concerns around patient consent – specifically, is the clinical trial option the only way for a patient in an emerging market to receive treatment? Beyond this issue, oncologists in the UK and US also question the ability to generalise the data on their more diverse patient populations. Patients in India and China may have more genetic and cultural homogeneity, which may mean that results to not translate similarly to the vastly diverse western Europe and US patient types. Interestingly, some of the resistance to an increasing number of trials in emerging markets was much more personal. Not only do oncologists like being able to offer their patients the best new treatments, but conducting trials brings in money for a practice, allowing hospitals to hire, buy better equipment and even experience fame when results are published. In summary, concern for data coming from clinical trials in emerging markets comes from multiple angles, but the market does seem to be heading increasingly in that direction. So how can pharma brands address these lingering concerns to make the data out of these markets better accepted? In addition to education on regulations and ethical requirements in the emerging markets, we heard a number of options – conduct a smaller trial to duplicate the results in an established market, provide a robust number of patients, publish results in a peer-reviewed journal, or speak at a global oncology conference. It is important to keep in mind that in creating pharmaceutical brands, building trust is key. While there is no evidence of specific damage to credibility caused by conducting trials in emerging markets, there is, however, a latent distrust. As we have seen in the past, if a specific scandal were to appear, it could quickly spread and damage credibility. Paradoxically, it is therefore important that clinical trial standards are even higher in emerging markets than in the west. From our research, physicians are becoming increasingly accepting of internationally focused trials, and with some simple steps and greater international endorsement, the data from emerging markets may eventually be viewed with equal interest and value. Lisa has nearly 10 years in healthcare marketing research, and has worked on products across a number of both consumer and health brands. Since joining the TPSi oncology business unit in 2011, Lisa has turned her focus to oncology brands specifically, in a variety of markets – both emerging and established. As a member of TPSi’s oncology business unit, Claire has specialist experience in both solid and haematological malignancies, with particularly strong focus in melanoma, NSCLC, breast, chronic myelogenous leukaemia, colorectal cancers, diffuse B-cell lymphomas, Waldenströms macroglobulinemia, GIST and renal cell carcinoma. For the past 11 years, Claire has personally led market research studies on these topics in multiple markets, including the US, the EU, Mexico, Brazil, Argentina, Canada, Singapore, Japan, South Korea and South Africa to name but a few. Claire holds a Masters in Natural Sciences from Cambridge University, UK. 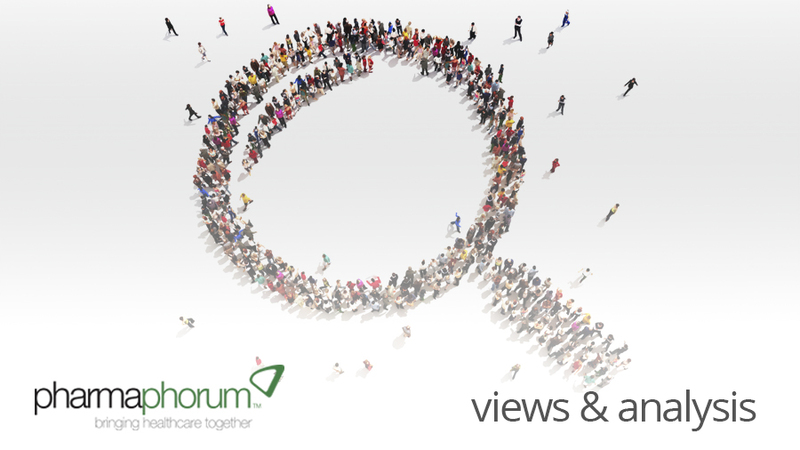 Have your say: Does clinical research in emerging markets have an image problem?